Good intentions, that is what I had when leaving Kingman last Sunday. My plan was to provide regular updates from the road at the end of each day as there were so many exciting things to share. I have numerous excuses for the irregularity of posts but excuses do not constitute justification. The first few days of the trip will provide an idea as to the schedule that has hindered regular postings. They will also provide a glimpse of the material that will be shared during a special presentation at Beale Celebrations on November 19. Details pertaining to this event will be made available soon. Day one was a drive of 600 miles to Las Vegas, New Mexico (the original Las Vegas). The following morning was a meeting with the economic development director to discuss the challenges of historic business district revitalization, how establishment of districts without adequate long term planning can stifle development, and the critical need to link tourism with economic development. At noon I met with the Main Street Program Director in Tucumcari. Route 66 as a catalyst for economic development and subsequent revitalization was the primary topic. We also discussed the difficulty associated with creation of a sense of community and community purpose, and how a caustic press hinders this. Then we drove to Shamrock, Texas as I had an 8:00 AM meeting with the economic development director. Linking the chamber of commerce, tourism, and economic development with dynamic leadership is transforming this community in a dramatic fashion. On both days I had ample opportunity to promote Kingman as well as create partnerships. In addition to distributing promotional materials provided by Grand Canyon West and other sponsors of the trip, I arranged for distribution of marketing literature at key locations such as the National Route 66 Museum. 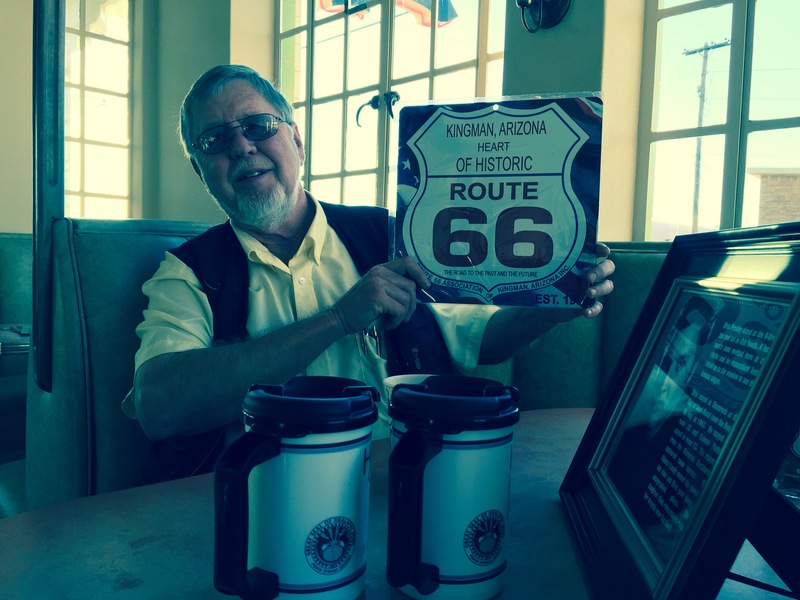 I also worked to expand the promotional network of the Route 66 Association of Kingman, another sponsor. 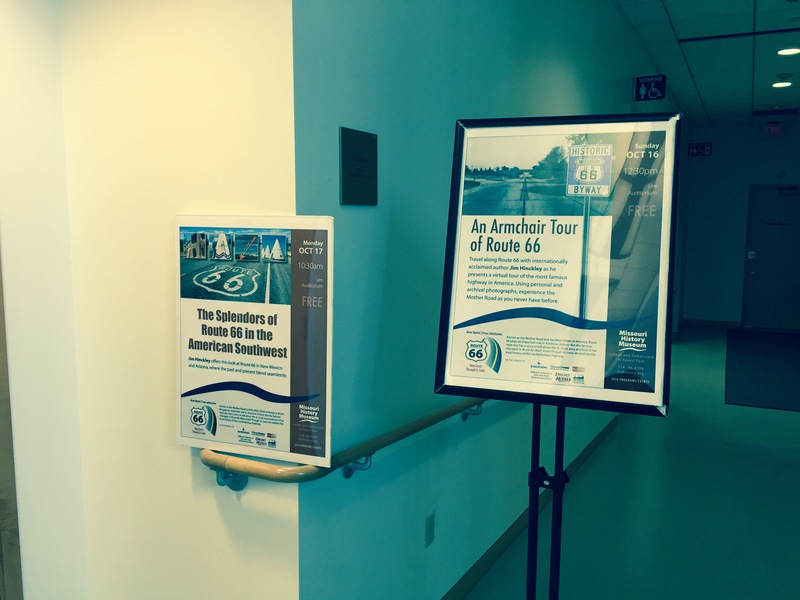 I have also been making presentations about Route 66 in Arizona at various venues. Today I was honored with an opportunity to speak at the prestigious Missouri History Museum in St. Louis. There is an old adage that the worst day fishing is better than the best day at work. For me the adage is modified a bit. The busiest day involved with the business of Route 66 is more enjoyable than a day spent in other pursuit. This has been an amazing adventure and I am quite grateful to the sponsors that made it possible. I am quite eager to share the insight garnered from this trip, and to helping make Promote Kingman a chamber of commerce for the 21st century. There is one week more to go. Next Saturday, I will use Kingman as an example during my presentation on Route 66 as a catalyst for economic development at the Miles of Possibility Conference in Bloomington, Illinois. Let’s see if I can get a post or two written before then. Promotion for presentations at the Missouri History Museum.